首頁 > 信息 > News > Our brand, ‘Soup Curry Cocoro’ was incorporated into the ‘Michelin Hokkaido 2017 Special Edition’ that was published on May 19th 2017. Our brand, ‘Soup Curry Cocoro’ was incorporated into the ‘Michelin Hokkaido 2017 Special Edition’ that was published on May 19th 2017. 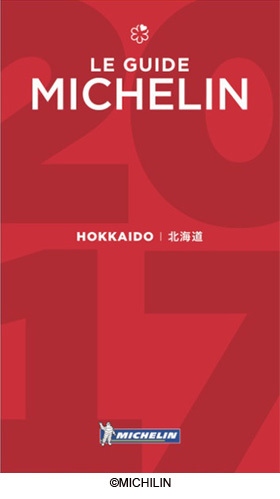 Since the establishment of our company seventeen years ago, though we had been working hard and aiming to eventually become a restaurant worthy of acknowledgement within the Michelin Hokkaido Edition, our wish had been granted when our restaurant was placed on the Michelin Guide to Hokkaido as the first soup curry specialized restaurant. With this, we aim to work even harder so that this industry undergoes further development and growth in the future. In order to answer to the expectations of the community, we are prepared to devote ourselves fully to our work. Thus we would appreciate it if we could receive your support and guidance from hereon in. We ask you in advance for your ongoing support, teachings and attention to the progress of our company and hope we can do good business with you. Copyright © 汤咖喱 心 All Rights Reserved.